Contemplating unique examples of the Art Deco style, deciphering the candombe, indulging in the particularities of Uruguayan tango or discovering why some Uruguayan sites deserved Unesco’s distinction are just some of the cultural and heritage tourism alternatives that can be enjoyed in Uruguay. By way of presentation, it could be said that Creole traditions, indigenous ancestors, Afro-Uruguayan heritage and the importation of customs of European immigrants make Uruguayan cultural expressions a heritage as rich as diverse. 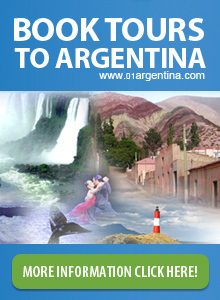 Tango is recognized as one of the greatest cultural contributions of the Plata Region to the world. It covers at the same time, dance, music, singing and poetry. In September 2009 it was declared Intangible Cultural Heritage of Humanity, by Unesco. The Uruguayan carnival, without doubt, is another feature of the local culture that deserves the attention of visitors. It is the longest in the world and involves a colourful range of parades and shows that start at the end of January and continue until mid-March. The Candombe is part of this great party and is one of the most popular expressions of Uruguayans. Its roots go back to the arrival of African slaves during the colonial era in Montevideo. In 2009, together with tango, it was also recognized as Intangible Heritage of Humanity by Unesco. Uruguayan theatre is one of the most important in Latin America. With more than 70 operating rooms, the billboard is strikingly extensive and varied with classic and modern shows for the most diverse tastes. Uruguay also offers a wide range of museums and cultural centres where it is possible to appreciate the work of national artists such as Juan Manuel Blanes, Rafael Barradas, Pedro Figari, Joaquín Torres García and José Cúneo, among others. At the architectural level, Uruguay preserves unique examples of art nouveau and art deco styles, which are rarely seen in other parts of the world. Another mark of its own identity in this matter, is the famous creations in armed ceramics and brick, of the engineer Eladio Dieste, that have aroused the interest of architects from all over the world. In turn, Uruguay has two sites declared Cultural Heritage of Humanity by Unesco. On the one hand, the historic neighbourhood of Colonia del Sacramento was recognized since 1995, for its peculiar fusion of Portuguese, Spanish and post-colonial styles. On the other hand, the former Anglo fritter from Fray Bentos, entered the privileged list in mid-2015, as an exceptional example of the evolution of the social and economic structure of the 19th and 20th centuries in the region. In short, the Uruguayan cultural and patrimonial offer is wide and any time of the year is ideal to discover it. An attractive idea is to take a Spanish course while Montevideo and other places in Uruguay are known.